Calling all Urban Decay Makeup Junkies! 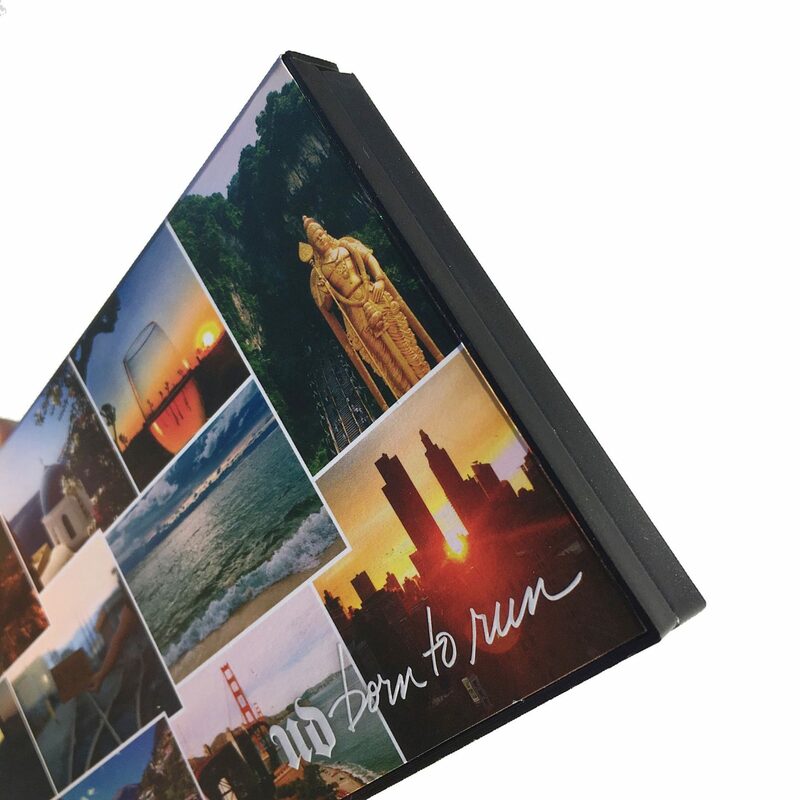 Urban Decay just launched a new travel friendly palette from their new travel inspired Born to Run Collection. The full collection will also include three new vice lipsticks, three 24/7 Glide On Eye Pencils, and an All Nighter spray travel edition. Today I am excited to share with you all the details on the Born to Run Eyeshadow Palette, so let’s dive in! 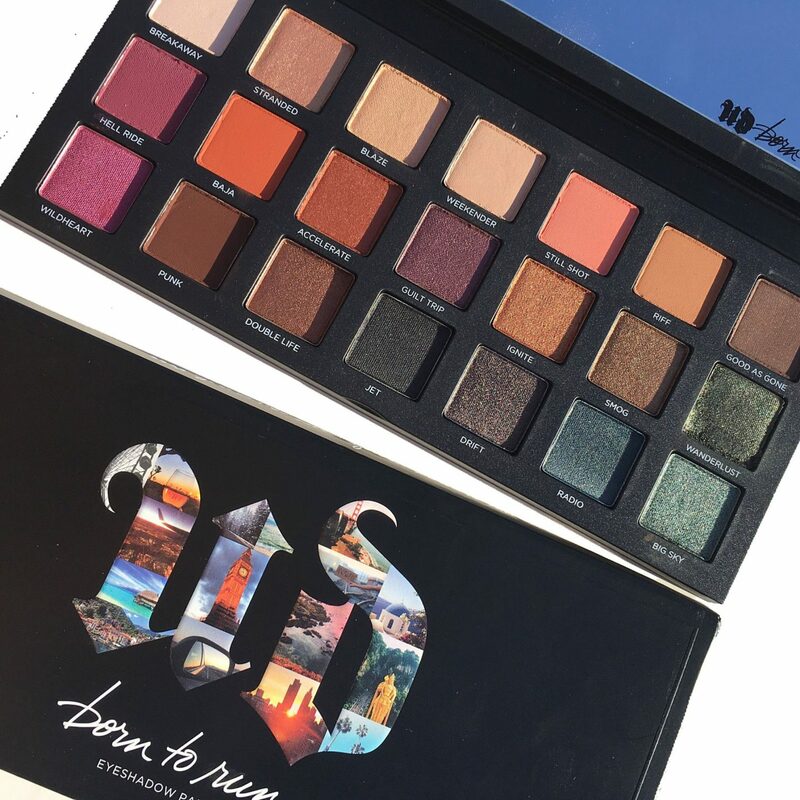 The Born To Run Palette contains a total of 21 shades in a variety of finishes–jewel tones, modern neutrals, and pops of color into one sleek, travel-friendly product. Sixteen of the shades are completely new, while 5 shades are existing shades from previous launches. 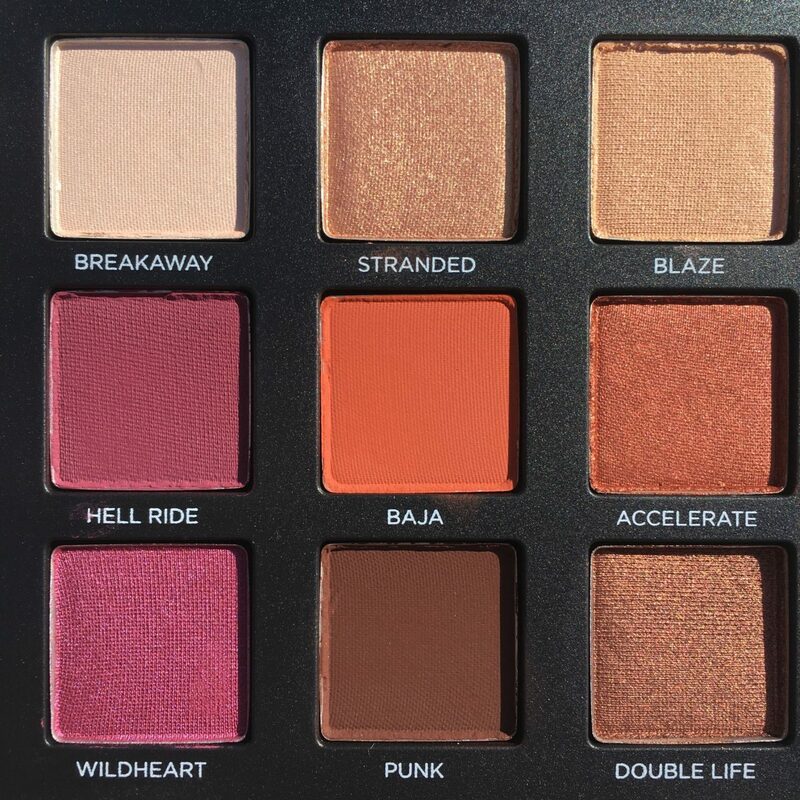 (Blaze, Riff, Smog, Punk, & Jet) The palette was designed with the on-the-go beauty lover in mind and all the shades contained within are not only universally flattering, but also pretty much contains everything you need to create a variety of looks from daytime to evening. The palette also comes with a sizable mirror, another added plus. 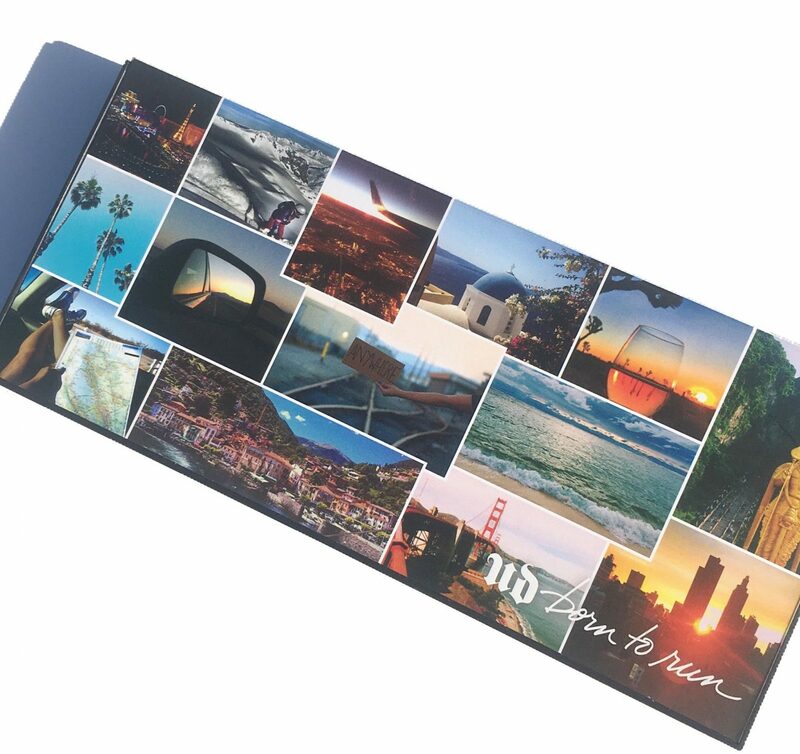 In terms of packaging, the palette comes complete with a travel motif on the on the cover, all of which are images of different destinations around that globe that makes your inner Wanderlust come alive. 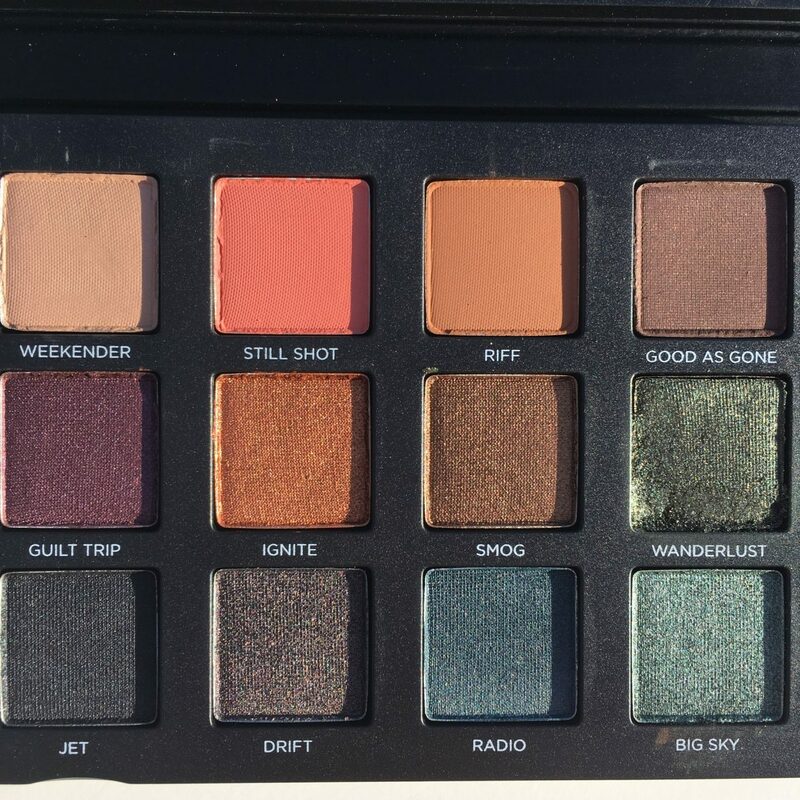 Speaking of Wanderlust, that’s one of the the cool shade names, along with shade names like “Weekender” and “Breakaway.” The palette is also sleek and sturdy. It’s definitely something that I would feel confident about taking with me on-the-go. This palette seems to encompass all the shades that you need, whether you like neutrals or brights, shimmers or mattes. You can really down size your collection, especially if you find yourself packing multiple palettes for one look. 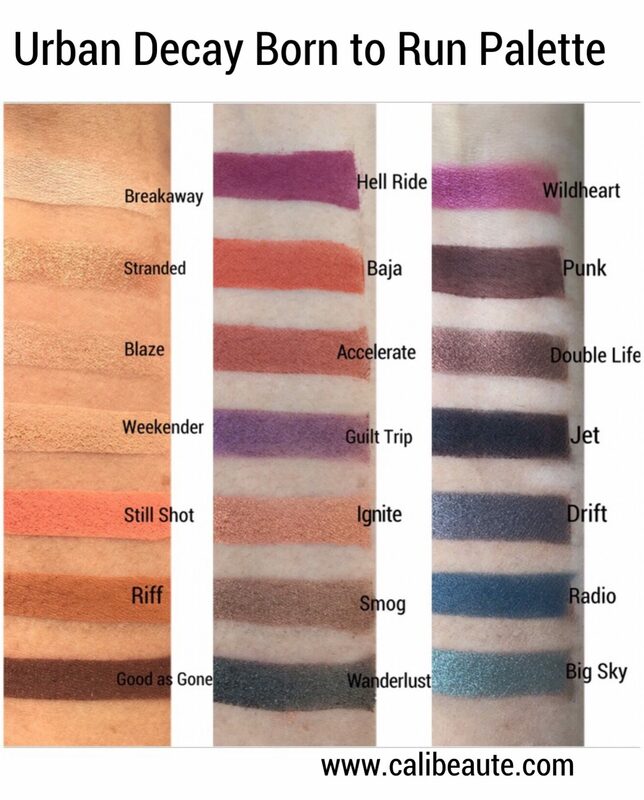 Here’s a closer look at the shadows and shade names followed by the shade descriptions and swatches. In addition to the palette, the are three new shades of its Vice Lipstick, three new 24/7 Glide-On Eye Pencils , as well as a limited-edition version of its All Nighter setting spray. More images and details will be forthcoming. 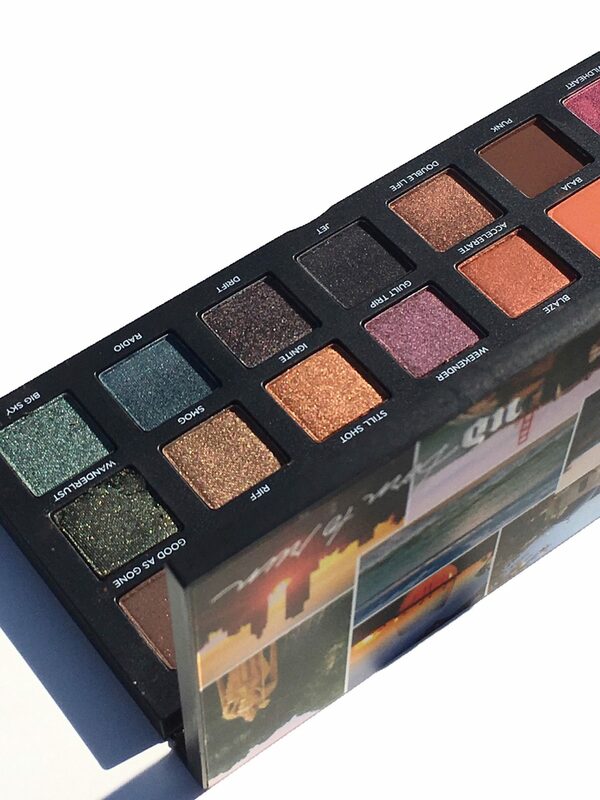 There’s really a lot to love and play with the new Urban Decay Born to Run Palette. It is priced at $49 for a whopping 21 shades! I look forward to taking it with me on my travels this summer so stay tuned for more features. 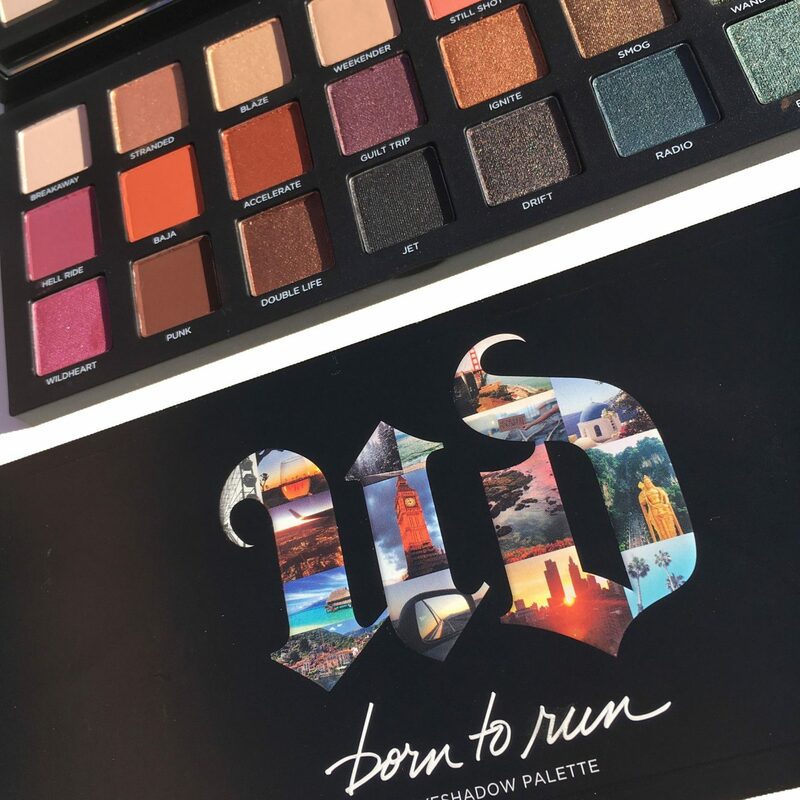 The Born to Run Palette is currently now available on the Urban Decay website, and will also be available at Sephora, Ulta Beauty, and Macy’s. 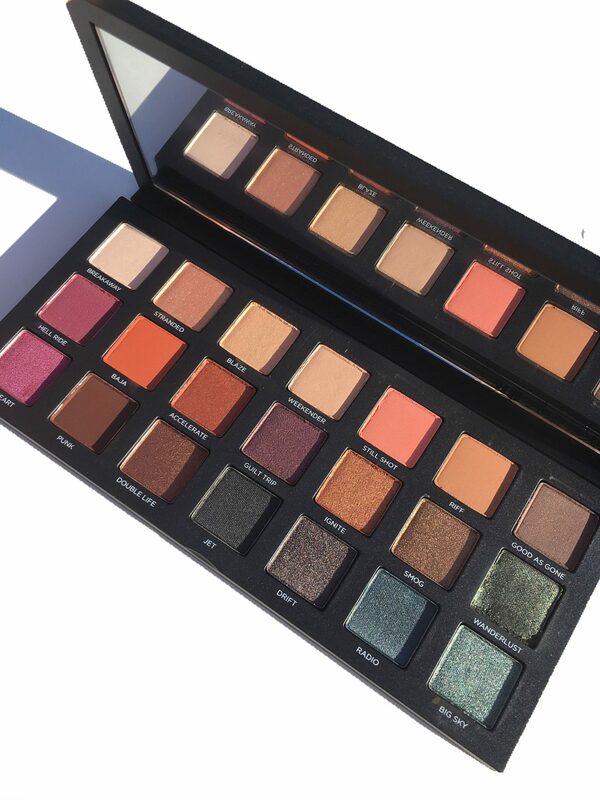 Is this palette on your wishlist? Thanks for stopping by today.